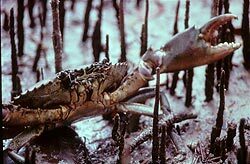 There are at least 70 different species of Crustaceans in Australian mangroves, of which about 65 percent are crabs and the rest prawns and shrimps. 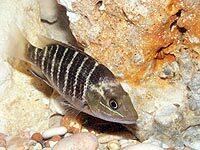 Over 70 species of fish are known from Australian mangrove creeks and rivers, most spending at least some part of their lifecycle in that protective environment. 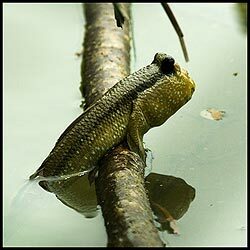 Mudskippers are one of the few fish which live only on tropical mangrove shores. 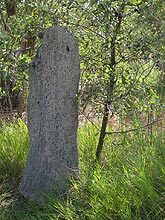 At least 100 species of molluscs are found in Australian mangroves. About 75 percent of these are gastropods (snails) which feed on microscopic plants the remainder being bivalves. 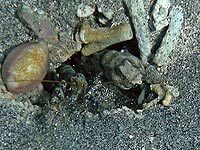 The best-known of these is probably the mangrove oyster which colonises the trunks and aerial roots of the trees in large colonies. 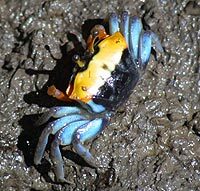 Mud Lobster are believed to eat tiny pieces of organic matter in the mud. To get enough nutrition, they have to process huge amounts of mud and sand. This mud is piled around their burrows. Their mounds can reach 3m high.Digging helps the mangrove community by recycling material from deep in the mud, loosening the mud and allowing air and oxygenated water to penetrate the otherwise oxygen-poor soil. At least 24 species of polychaete worms are known to live in the mangrove mud. 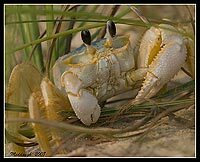 Insects are the most diverse and numerous of all animal groups in the mangroves. For many this forest is simply an extension of their terrestrial habitat but some are found nowhere else. Over 230 species of birds have been recorded in mangroves in Australia but numbers at any one time tend to be low, most being occasional visitors. 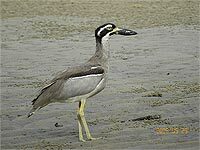 Only about eight bird species are restricted to mangroves in the Wet Tropics. 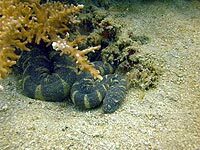 Sea snakes, especially the banded sea krait, visit on high tides. Species of a more terrestrial origin which are found predominantly in the mangroves include the little file snake, the mangrove snake and the white-bellied mangrove snake. 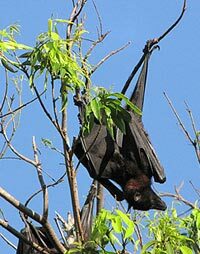 Pythons are attracted by large groups of flying foxes. 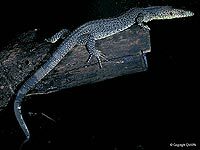 Monitor lizards, notably the mangrove monitor and the rusty monitor, frequent mangroves to feed on insects, fish, crabs and birds. The Estuarine Crocodile (Crocodylus porosus) is also found in mangrove forests in the north. 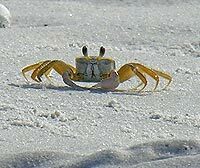 Few mammals live permanently in the mangroves. 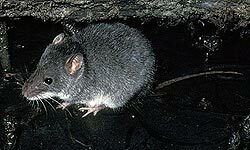 A notable exception is the very rare false water rat. The much more common water rat sometimes builds its nest near to mangroves, feeding on crustaceans, fish and even young water birds. Wallabies, bandicoots, antechinus, possums, dingoes, pigs and cattle as well as a number of rodent species have all been known to visit mangroves, usually at low tide. 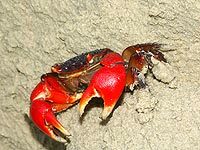 Barramundi (Lates calcarifer), Mangrove Jack (Lutjanus argentimaculatus), mud crabs and Banana Prawn (Penaeus merguinensis) also breed in mangroves. The Lesser Noddy (Anous tenuirostris melanops) builds a platform nest of leaves in mangrove trees. 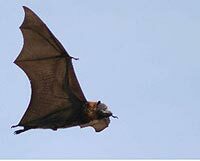 A study of species found in the Daintree, Endeavour and Russell/ Mulgrave estuaries in Far North Queeensland listed 13 mammals, 100 birds, numerous insects, 28 spiders, 23 reptiles, 3 amphibians, 33 fish, 47 crustaceans and 39 molluscs.